About a year ago (at the 16th of november 2004), I wrote here about a brand called Louis Bolle and how much of a scam this all was. I still get e-mails to this posting (on a weekly basis) and over 20 comments were added to this post. Today, a friend of mine sent me the link of Vendoux. At first glance, there seems to be nothing wrong with this (online) jeweler. They even have quite some famous Dutch artists on their site to represent their products. A second glance shows that most pictures of the Dutch VIPs are screendumps from TV and most artists seem to be B-class anyway. Or C-class (I would add the Dutch transexual Kelly to this class, famous for her appearance in Big Brother). Click here to check the VIP Gallery. The best part of it all is that Vendoux is in my opinion nothing but a scam. 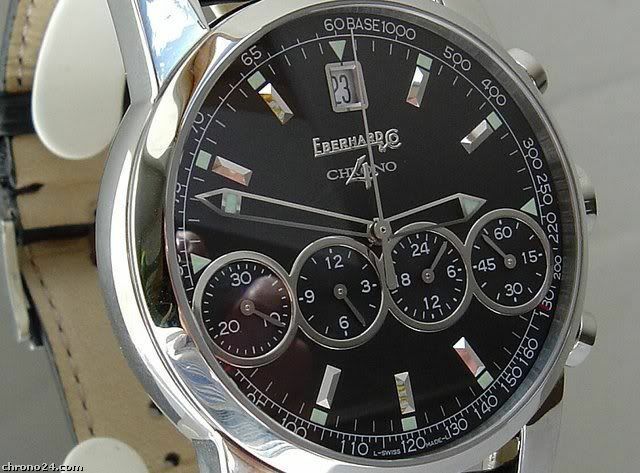 Not only they have taken the famous designs like the one of a Rolex Daytona, but also less known brands like Eberhard. When does the hurt stop and when do these kind of vague businesses will learn? They write on their site about being an international brand (Netherlands and Belgium probably) and even use words like ‘credible’ and ‘quality’ & ‘style’. The people who can read Dutch should really click here. 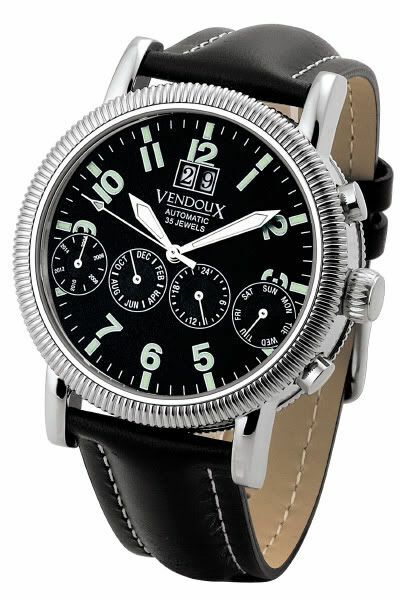 Anyway, again.. if you want to be taken seriously as a watch brand, please.. please.. please.. don’t copy classic designs and maybe even more important, don’t copy designs that are quite unique (Eberhard). Picture from Chrono24.com, a watch for sale by www.uhren-lady.de.